A highlight to any landscape. Concrete Pavers make the best choice for replacement or new installation of driveways, walkways, patios or pool decking. 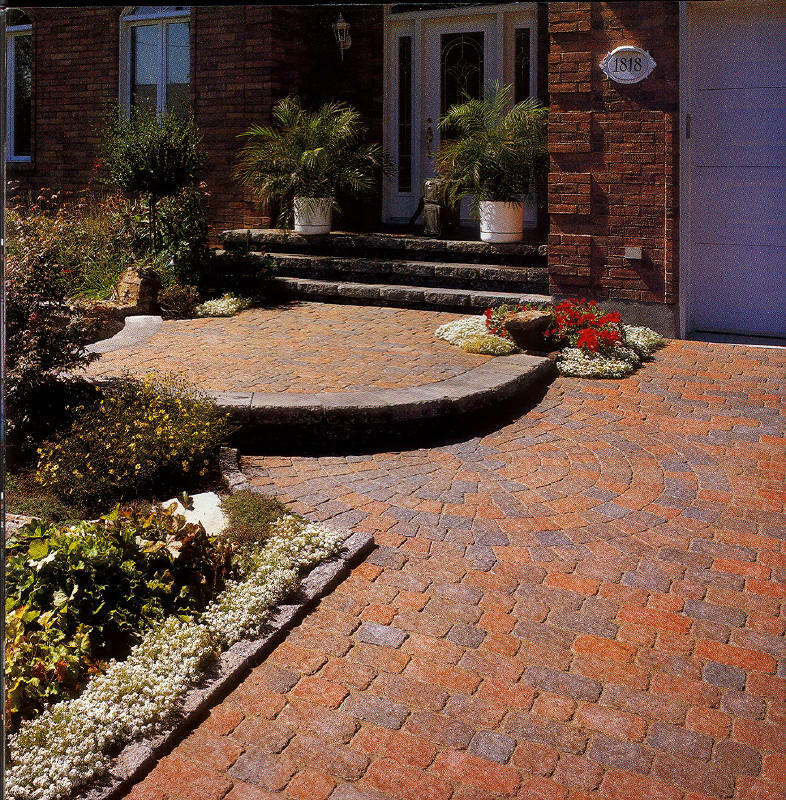 Concrete Pavers combine the aesthetic beauty you desire with unmatched durability and performance. Completely affordable for any surfacing area, there is absolutely no other product available today that will give you so much bang-for-the-buck! Available in a variety of colors, shapes, and sizes, the segmental system of the pavers allows for movement eliminating unsightly cracking and buckling. A great feature is the smooth and non-slip surface making pavers an excellent and safe choice where water is of concern, i.e patios, walks or pool decks. An incredibly valuable selling point is their ability to accommodate common underground utility repairs under pool decks, patios or drives without leaving the surface scarred or unchanged. The pavers can simply be lifted and re-set after repairs are made leaving the beautiful surface you paid for completely unchanged.